Down the years it’s fair to say I have watched a lot of science fiction. I regard myself as being a big fan of a lot of it – Star Wars, Doctor Who, Babylon 5, Stargate… I love it all. 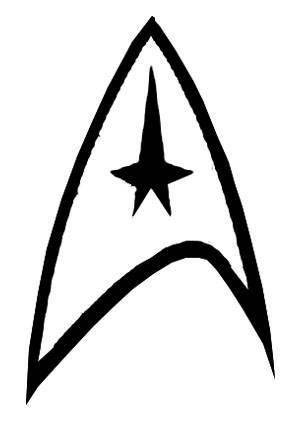 The one that started my love affair with sci-fi though, is Star Trek. 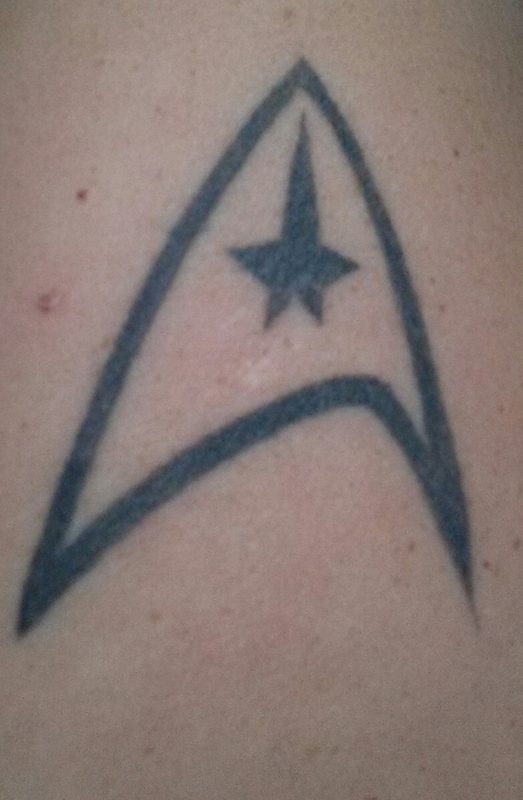 I often tell people I’m a ‘second-generation Trekkie’. I grew up watching The Next Generation with my mum (who is a first-generation Trekkie). I was vaguely aware of The Original Series and had caught the odd episode but I didn’t really know or appreciate what I was watching at the time. Once I started watching TNG though, I was hooked. The show tapped into a lot of stuff that appealed to me. Firstly, the impressive gadgets (like replicators, transporters, holodecks, to name but a few). Then there was the outer-space setting, the voyage between the stars of this mighty starship, encountering all sorts of new and strange aliens and phenomena. The characters too, were fascinating and varied. The stern Captain Picard was naturally the focus of a lot of attention, but the android Data, with incredible knowledge yet also a lot of innocence, was probably the most compelling character on the show. As a kid the ideals of the show were impressive too. Imagine a future with no war, no poverty or disease. Imagine a society where everyone is treated equally and fairly. As an adult, those ideals seem lofty, but that doesn’t mean they are unreasonable things to wish for in our future. Humanity may never reach those goals, but aspiring to reach them is not a bad thing. 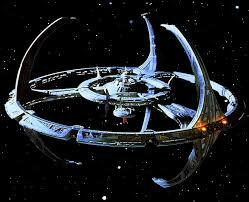 As The Next Generation entered its fifth season, a third Star Trek series began – Deep Space Nine. To me, DS9 remains the pinnacle of Star Trek, giving us characters with Federation values and ideals and mixing them up on the fringes of Federation space with characters who didn’t share those values. It then proceeded to push those characters, test them, in ways TNG never did. What happens when your ideals are threatened? How much of them do you risk sacrificing in yourself in order to protect them for others? Deep Space Nine asked those questions, and is the best show as a result. As TNG ended, Voyager started up in its place. Like DS9, VOY had the potential to offer up challenges to its characters. The crew was made up of a combination of Starfleet officers and rebel Maquis personnel, forced to work together on Voyager, stranded seventy-five years from home. With no bases to re-supply the ship, a divided crew and a long journey, VOY could have tried to explore the conflict between the crew, and their struggles to remain true to themselves, but missed this opportunity, instead turning into a TNG-clone with ‘alien of the week’ story lines that became very samey, very quickly. Enterprise was the last Star Trek series made, starting in 2001 and intending to tell the story of the formation of the Federation and the early days of humanity’s exploration of the stars. 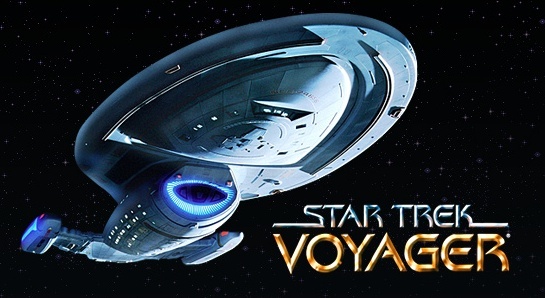 It was meant to be a prequel to the events of the Original Series, but it soon suffered from the same weakness as VOY – the attempt to recreate the TNG formula (which had been growing stale in the final years of TNG anyway). The refusal of the producers to move beyond a style that audiences had grown tired of led to the decline of ENT and ultimately, its failure as a show. The final season managed to offer up better stories when new writers were hired, but it wasn’t enough to save ENT from cancellation, and the finale is derided by fans and cast alike for focusing too much on guest-starring TNG characters (thus stealing the thunder away from the ENT characters). The result was that ENT ended after four seasons (the first Star Trek show to get cancelled since the Original Series). Star Trek entered a period of hiatus. The critical and box office failure of Star Trek: Nemesis (the final TNG film) hadn’t helped the prospects of new Trek, so for a time, there was none. Fans had to comfort themselves with re-runs. Then, after five years, we got a new Star Trek film. So, the iconic original Enterprise design (seen above) would get a makeover, and the original characters would be re-cast for a new film that took Star Trek back to its roots. There was a lot of excitement (especially when it was announced JJ Abrams was directing), but also a lot of apprehension. The Original Series is regarded as a legendary show by fans, and has well-established itself in popular culture. re-making it was potentially risky. In 2009 the film, entitled simply ‘Star Trek’ was released, and quickly became the highest-grossing Star Trek film ever made, making more than twice as much as the previous best (The Voyage Home). Critically, it was not without its detractors, but personally, I found it to be a refreshing new take on Star Trek, and the new, bold approach Star Trek took was crucial to the revival of the franchise. Star Trek was back on the radar, relevant again, and people were talking about it. In 2013, a sequel to the 2009 film, Star Trek into Darkness, came out, and though not as warmly received (either financially or critically) as the 2009 film, it still took over $200 million dollars, making it the second-highest grossing Star Trek film. Star Trek, a franchise that has long been greatly appealing to me, for the science-fiction element, and the characters and the action, and I look forward to what comes next!